January 7 – The Chantilly Regional Library opens. January 12 – 21-year-old Jennings R. Kettleson is shot to death in the parking lot of the National Amusements Centreville Multiplex in Centreville. January 13 – 19-year-old Anthony Ortiz is shot to death outside the Lee Highway Multiplex Cinema in Merrifield by 17-year-old Gustavo A. Perez. February 4 – 37-year-old Ruby Kibler is stabbed to death by her boyfriend, 45-year-old Joseph D. Bowler, in his attic apartment in Bailey's Crossroads. February 18 – 20-year-old Marion E. Murphree is shot to death by her boyfriend, 24-year-old Bennett L. May, in the bedroom of her family's home at 3714 Woodland Circle in the Lake Barcroft neighborhood of Falls Church. February 21 – Fairfax County Police Chief Michael W. Young submits his resignation, effective March 17. March 3 – 30-year-old David E. Petruska is convicted of the 1988 murder of John H. Toland in Centreville. The new Herndon Fortnightly Library opens. May 1 – By the unanimous vote of the Fairfax County Board of Supervisors, Major M. Douglas Scott is appointed Chief of the Fairfax County Police Department over Lieutentant Colonel David R. Franklin and Major Helene M. Cassell. June 20 – 23-year-old Keoviengkone Sengchanh is shot and mortally wounded at a party at the Masonic Lodge at 6911 Columbia Pike in Annandale. Sengchanh is taken to Fairfax Hospital, where he dies. July 21 – 39-year-old clerk Paramjit Singh is stabbed to death by Sterling W. Fisher, Jr. in the Texaco station at 252 Maple Avenue West in Vienna. July 25 – 4-year-old Tuan Phan is struck and mortally injured by a 1986 Toyota 4Runner as he waits at a bus stop with his mother at the Seven Corners Shopping Center in Falls Church. The vehicle had been left unattended in neutral gear and rolled 200 feet down a hill, where it hit him. Phan is taken to Fairfax Hospital, where he dies of head injuries a half hour later. July 31 – 18-year-old Sheron Montrey enters an Alford plea and is convicted of second-degree murder and use of a firearm in a felony by Judge Gerald Bruce Lee for her role in the November 17, 1994 murder of John F. Baumgardner in the parking lot of the Fair Oaks Mall. August 17 – 19-year-old Edward Y. Chen fatally shoots his parents, 53-year-old Wu-Hung Chen and 52-year-old Yeh-Mei Chen, and 25-year-old brother Raymond at their home at 11210 Elmview Place in Great Falls. September 23 – 17-year-old Brad B. Khatchi dies when he crosses the center line of Clifton Road with his 1988 Toyota Camry and crashed into a 1995 Crown Victoria in Clifton. September 27 – Angry at the breakup of his marriage, 32-year-old Anthony J. Simpson goes to the Edsall Gardens Apartments in Alexandria and stabs 32-year-old Fana Belay to death in front of her eight-year-old daughter, mistakenly believing her to be his daughter's babysitter. September 27 – 17-year-old Gustavo A. Perez is convicted of voluntary manslaughter for the January 13 shooting death of rival gang member Anthony Ortiz at the Lee Highway Multiplex Cinema. October 18 – 16-year-old Elizabeth Gould unintentionally kills herself while sneaking out of the family's home at 725 Gouldman Lane in Great Falls when the 1995 Nissan Sentra she had sneaked out of the family's garage rolls backwards and crushes her between the driver's side door and the fence surrounding the property. November 2 – 33-year-old Robert N. Willis is shot to death in Reston by Michael S. Thomas. November 17 – 18-year-old Sheron Montrey is sentenced to 23 years in prison by Judge Gerald Bruce Lee for her role in the November 17, 1994 murder of John F. Baumgardner. November 18 – Frustrated over the breakup of his relationship with his 20-year-old former girlfriend and punching bag Tonjanika McCoy, 22-year-old Charles A. Moore sets fire to the condominium at 3804 Redondo Place in the Sequoyah neighborhood of Mount Vernon, killing his 2-year-old daughter Monique and McCoy's 5-year-old son Darrion. November 23 – 20-year-old Anne Harper is stabbed to death in the family home at 10985 Ryers Place in the Middleridge neighborhood of Fairfax by her brother Matt, who then sets the house on fire in an attempt to conceal his crime. December 6 – Ilryong Moon is sentenced to three days in jail by Judge Daniel F. O'Flaherty in Alexandria General District Court for illegally voting in the City of Alexandria. December 16 – 13-year-old Jonathan A. Hall is stabbed to death by 44-year-old James A. Murray and 15-year-old Jason M. Garrison in Springfield. December 18 – 22-year-old Australian nanny Dena N. Perera is shot to death by her 23-year-old boyfriend Earl Ray Scott in her employers' house at 8518 Electric Avenue in the Tysons Woods neighborhood of Vienna. December 28 – Fairfax County Police find the body of 13-year-old Jonathan A. Hall in a frozen drainage pond in the Virginia 95 Business Park in Springfield. 48 people were killed in 47 fatal traffic crashes in Fairfax County in 1995. 12 of those crashes involved alcohol. ↑ Davis, Patricia. "Son's Midday Trip to Movie in Va. Proves to be Fatal." The Washington Post (pre-1997 Fulltext): b.01. National Newspapers Core. Jan 14 1995. Web. 12 Jan. 2012. ↑ Cohn, D'Vera, and Scott Bowles. "Teen Shot After Fight at Multiplex; 2nd Killing in 2 Days at Virginia Theaters." The Washington Post (pre-1997 Fulltext): b.01. National Newspapers Core. Jan 15 1995. Web. 13 Jan. 2012. ↑ 3.0 3.1 Tousignant, Marylou. "Teen Guilty in Slaying at Theater; Manslaughter Verdict Rejects Self-Defense." The Washington Post (pre-1997 Fulltext): A.16. National Newspapers Core. Sep 28 1995. Web. 13 Jan. 2012. ↑ Detrow, Cindy. "CRIME WATCH." The Washington Post (1974-Current file): 2. Feb 16 1995. ProQuest. Web. 8 May 2014. ↑ "Man Guilty of Slaying." The Washington Post (1974-Current file): 1. Jun 15 1995. ProQuest. Web. 8 May 2014. ↑ Vogel, Steve, and Scott Bowles. "Va. Woman Found Fatally Shot in Home." Washington Post. The Washington Post, 19 Feb. 1995. Web. 16 July 2016. ↑ "Suspect Turns Himself in." The Washington Post (pre-1997 Fulltext)Feb 21 1995.ProQuest. Web. 16 July 2016. ↑ Coia, David Alan. "Fairfax's top cop resigns - Young cites his age, will trade securities." The Washington Times, 22 Feb. 1995, 2, C METROPOLITAN TIMES VIRGINIA NEWS, p. C9. NewsBank. Accessed 19 Jan. 2018. ↑ Fountain, John W. "Conviction Comes 7 Years After Slaying." The Washington Post (1974-Current file): 1. Mar 04 1995. ProQuest. Web. 8 May 2014. ↑ "Herndon Fortnightly Library Offers More Books." The Connection Newspapers. Connection Newspapers, 29 July 2004. Web. 02 Mar. 2012. ↑ Lipton, Eric. "New Fairfax Police Chief Praised as a 'Cop's Cop'." The Washington Post (1974-Current file): 1. May 03 1995. ProQuest Historical Newspapers: The Washington Post (1877-1995). Web. 1 Oct. 2012. ↑ Fountain, John W., and Ellen Nakashima. "Shooting Victim Sought 'Better Future' in U.S." The Washington Post (1974-Current file): 2. Jun 22 1995. ProQuest Historical Newspapers: The Washington Post (1877-1995). Web. 25 Oct. 2012. ↑ Jackman, Tom. "Death Penalty Sought in 1995 Vienna Slaying." The Washington Post: B.02. National Newspapers Core. Feb 26 2000. Web. 26 May 2012. ↑ Melillo, Wendy. "VEHICLE ROLLS DOWN HILL AND KILLS BOY." The Washington Post. WP Company, 26 July 1995. Web. 04 Feb. 2018. ↑ Karp, David. "Va. Woman Lured Man to His Death, Court Says." The Washington Post (1974-Current file): 1. Aug 01 1995. ProQuest. Web. 17 Nov. 2014. ↑ Jackman, Tom. "Fairfax Man Admits Killing Parents, Brother." The Washington Post: 0. Dec 10 2002. ProQuest. Web. 14 Sep. 2014. 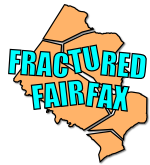 ↑ "Teenager Dies in Fairfax Collision." The Washington Post (1974-Current file): D5. ProQuest Historical Newspapers: The Washington Post (1877-1995). Sep 25 1995. Web. 9 Feb. 2012. ↑ Fountain, John. "Domestic Fight Probed in Va. Woman's Slaying." The Washington Post (1974-Current file): 1. Sep 28 1995. ProQuest. Web. 2 Sep. 2014 . ↑ Smith, Leef, and Marylou Tousignant. "Teenage Rite Takes a Fatal Turn for Va. Girl." Washington Post. The Washington Post, 20 Oct. 1995. Web. 22 July 2016. ↑ "Police Probe Drug Tie in Reston Slaying." The Washington Post (pre-1997 Fulltext)Nov 15 1995. ProQuest. Web. 18 Aug. 2016. ↑ "Two Men Charged in 1995 Slaying in Reston." The Washington PostNov 21 1997.ProQuest.Web. 18 Aug. 2016. ↑ "Reston Man Convicted of Murder." The Washington Post (1974-Current file): 1. Feb 21 1998. ProQuest. Web. 2 Nov. 2017. ↑ "23 Years for Murder Role." The Washington Post (pre-1997 Fulltext): 0. Nov 18 1995. ProQuest. Web. 17 Nov. 2014. ↑ Castaneda, Ruben. "Man Charged with Murder in Va. Fire; Suspect's Daughter, Boy Died in Mt. Vernon Blaze." The Washington Post (pre-1997 Fulltext): 0. Nov 20 1995. ProQuest. Web. 12 May 2014. ↑ Fountain, John W. "Community Shaken After Death of 'Exemplary' Student in Va. Fire." The Washington Post (pre-1997 Fulltext): F.03. National Newspapers Core. Nov 25 1995. Web. 9 Jan. 2012. ↑ Nguyen, Lan. "Slain Student Mourned in Fairfax." The Washington Post (1974-Current file): B7. ProQuest Historical Newspapers: The Washington Post (1877-1994). Dec 03 1995. Web. 9 Jan. 2012. ↑ Fountain, John W. "Springfield Teen Testifies He Helped Stab Boy to Death." The Washington Post (pre-1997 Fulltext): D.03. National Newspapers Core. Aug 28 1996. Web. 6 Feb. 2012. ↑ Fountain, John W., and Eric Lipton. "Nanny Shot, Killed in Family's Home." The Washington Post (1974-Current file): 2. Dec 19 1995. ProQuest. Web. 11 Aug. 2014 . ↑ Fountain, John W., and Steve Bates. "Va. Boy's Body found in Icy Pond; Springfield 13-Year-Old was Reported Missing nearly 2 Weeks Ago." The Washington Post (pre-1997 Fulltext): B.06. National Newspapers Core. Dec 29 1995. Web. 6 Feb. 2012.